It is officially football weather in North Texas. From the bands to the cheerleaders to the fans, everyone seemed to be enjoying the cooler temperatures at Lake Highlands' homecoming game against Skyline High School on Friday night. Football fans broke out the jackets, blankets and turtlenecks for the game. 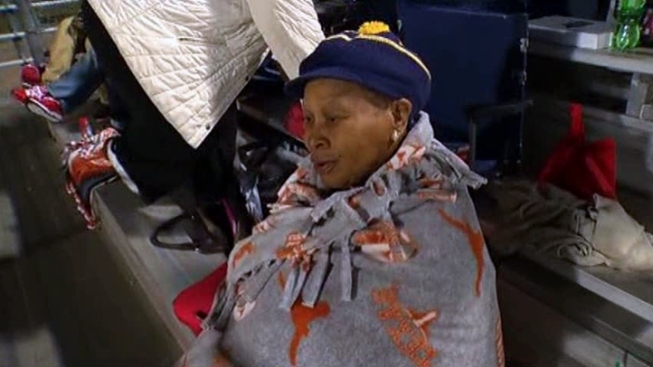 "We came prepared because we knew it was going to be cold," one woman said. "We have jackets and blankets." The latest forecast from NBC 5. But some fans were more prepared than others for the cooldown that came through just after sunset. "I don't have a jacket," said one woman in a short-sleeved shirt. By 8 p.m., temperatures had already dropped by 20 degrees, NBC 5 Chief Meteorologist David Finfrock said. The cooldown will continue through the weekend, with highs Saturday that are more typical of December. 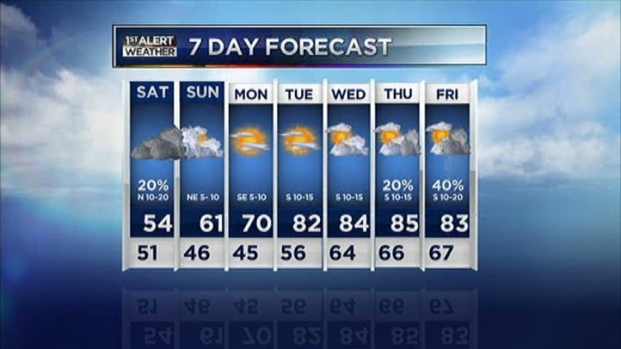 Saturday's chilly weather is expected to only reach a high in the low- to mid-50s, with a high of 61 expected for Sunday. But warmer weather -- and highs in the 80s -- will return by the middle of next week.